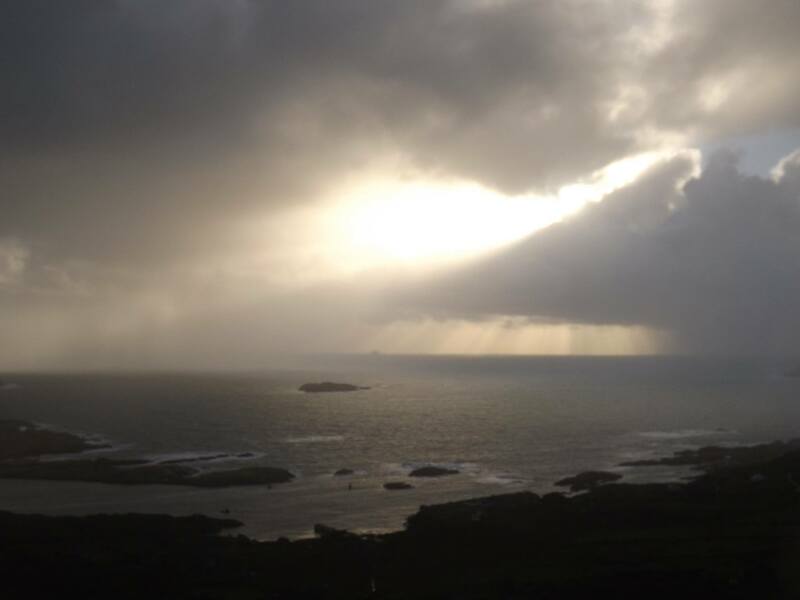 A cracking start to the New Year in beautiful Ballinskelligs! Hiking in the verdant forests of Killarney always brings a lightness of step and joy even with soggy conditions. 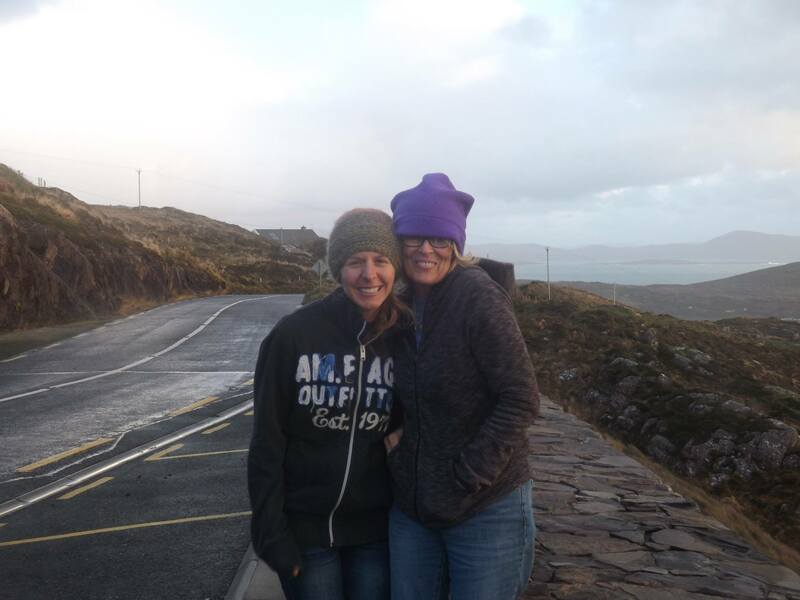 We headed up the Old Kenmare Road to do one of the beautiful trails and cocooned ourselves from the ever present rain. We dropped down to a very swollen Torc waterfall before heading in search of vagrant sheep up along Molls Gap. 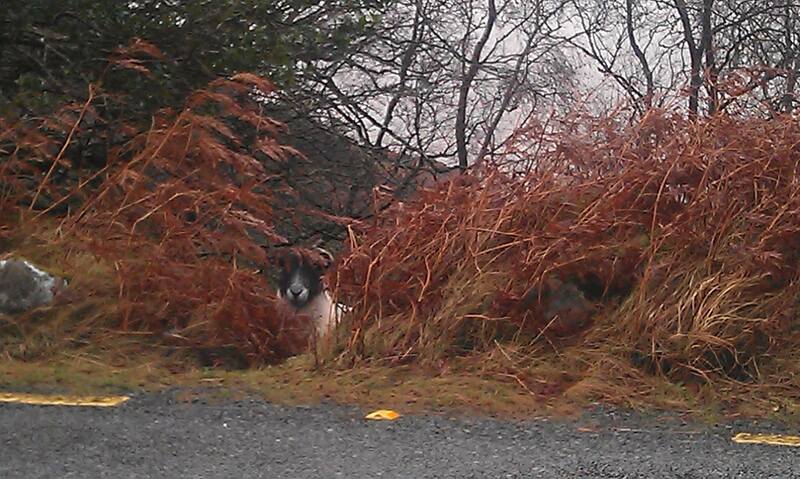 One very accomodating sheep modelled patiently for us before we headed on to Sneem. 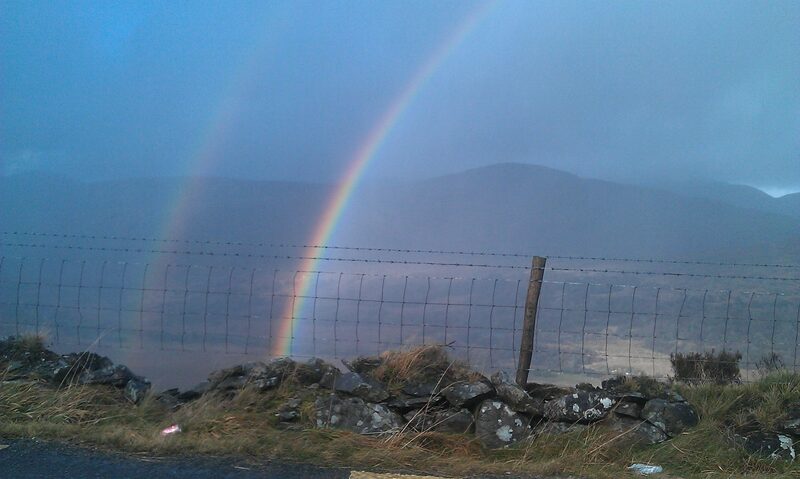 A triple rainbow did its best to outshine our ruminant friend, momentarily dazzling us. A trip through the Garden of Senses and a view of the Pyramids illustrated what a gorgeous spot this wee town is. On to Derrynane to see the house of the famed Daniel O’ Connell. The house was closed but the gardens were open and the breaking waves of the nearby ocean beckoned us forth. A typical day tour to Killarney National Park. 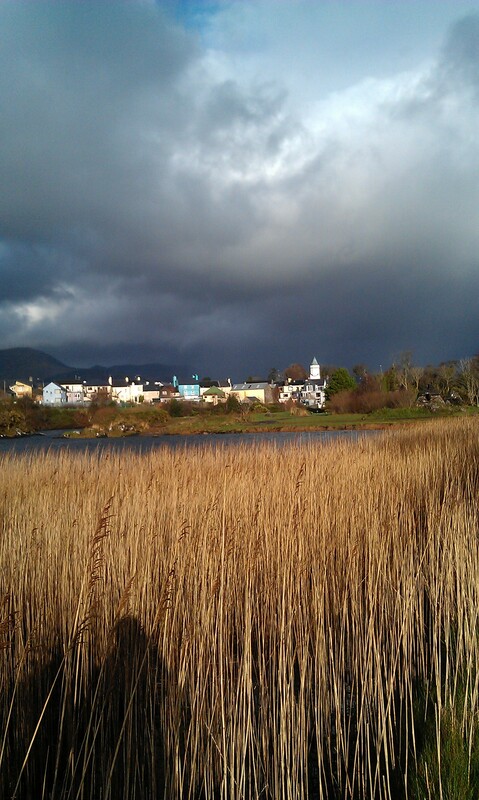 Sneem and Derrynane :).